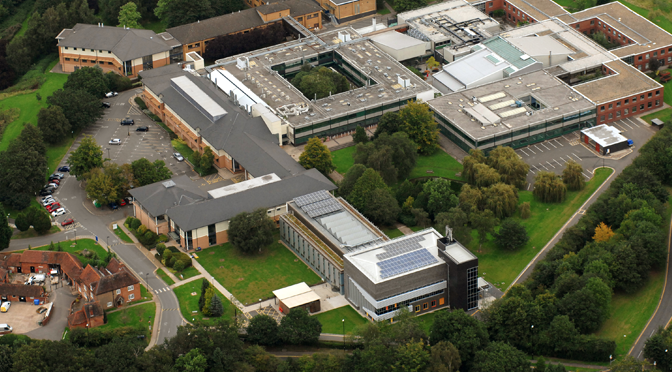 Nearly two years ago, management announced that there was to be a whole-scale review of the School of Life Sciences, followed by a whole-scale review of Warwick Medical School. Allegedly, these two departments had failed to generate enough income and staffing costs were to be dramatically reduced. The most shocking aspect of the proposal from UCU’s point of view was the university’s insistence that academic staff should be sacked on the basis of a single financial metric (research grant income) and that this measure should be applied retrospectively for the previous four-year period. Over 2,000 people signed an online petition calling on the Vice-Chancellor to abandon this “very radical approach” because it was “profoundly damaging to academic life and the quality of research at the University of Warwick”. Did management listen to any of form of dissent or counter-argument? Seemingly not. The review went ahead exactly as intended, and nearly 40 members of staff left the university, including a number of highly-skilled professional staff. For sure, the university needs to exercise proper financial oversight. We’d be the first to complain if our salaries weren’t paid. BUT, it is unethical and counter-productive to value an academic’s contribution solely in terms of grant income, without reference to any other aspect of their job description. And it is doubly heinous to do so retrospectively. We would like to think that Warwick will never repeat what can only be described as a new low in its treatment of staff. 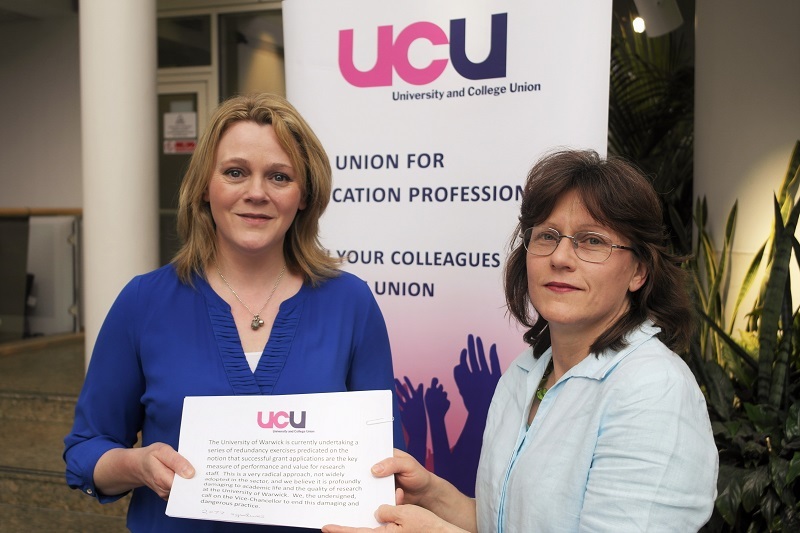 The picture shows Warwick UCU President, Dr. Justine Mercer, presenting the petition to the Deputy Registrar. We were denied permission to present it directly to the Vice-Chancellor, though we understand it will be reported to Steering and Council. The University of Warwick is currently undertaking a series of redundancy exercises predicated on the notion that successful grant applications are the key measure of performance and value for research staff. This is a very radical approach, not widely adopted in the sector, and we believe it is profoundly damaging to academic life and the quality of research at the University of Warwick. We, the undersigned, call on the Vice-Chancellor to end this damaging and dangerous practice. Warwick UCU President, Dr. Justine Mercer, presenting the petition to the Deputy Registrar.